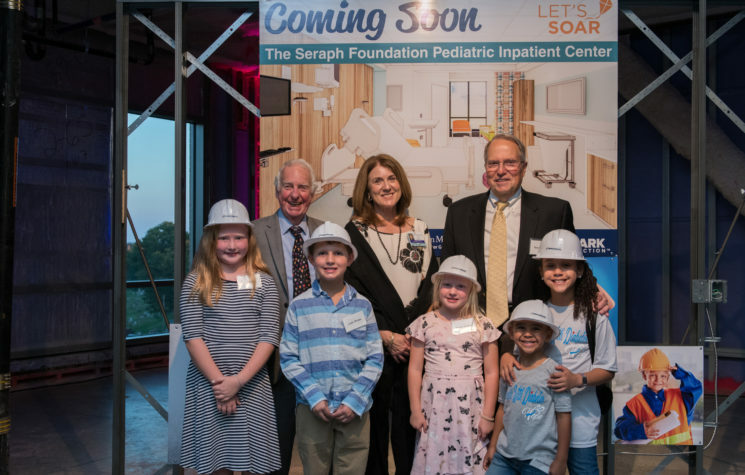 Oct. 4 – Lancaster, PA – Penn Medicine Lancaster General Health has launched the public phase of a $9 million fundraising campaign to create The Seraph Foundation Pediatric Inpatient Center at Lancaster General Hospital. To date, $6.9 million has been raised. PHOTO: Dr. Clark McSparren, campaign co-chair, Jan Bergen, LG Health president and CEO, Hank Spire, campaign co-chair kick off the campaign at Lancaster General Hospital on Wednesday, Oct. 3.